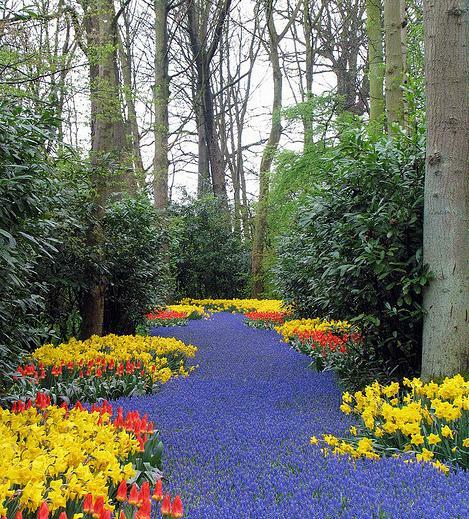 Keukenhof (Kitchen Garden), also called "Garden of Europe" is located near Lisse (southwest of Amsterdam), the Netherlands. 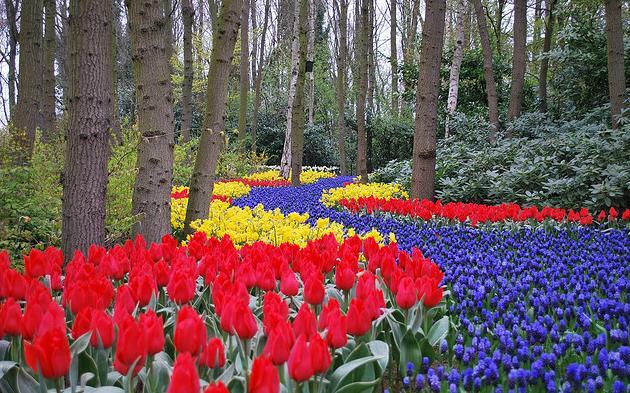 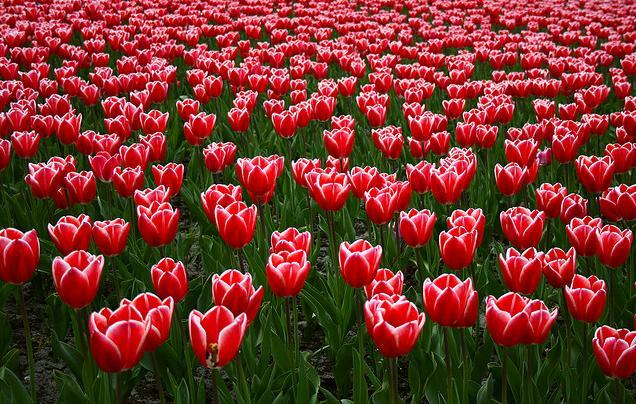 It is considered to be the largest flower garden in the world. 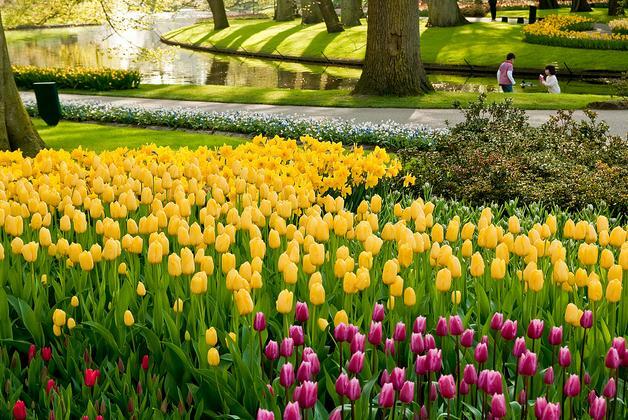 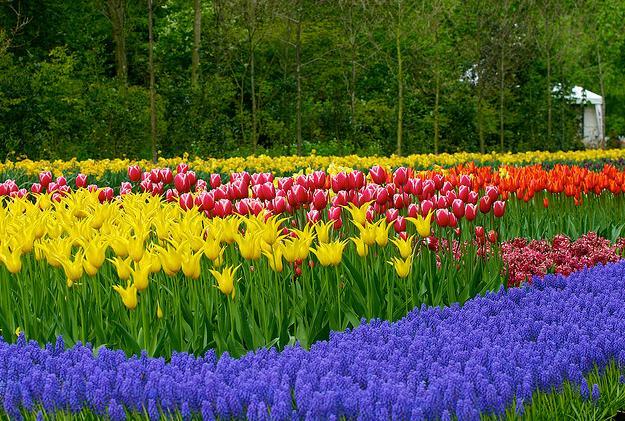 According to the official park Keukenhof, seven million bulb flowers are planted annually in the park , covering an area of 32 hectares. 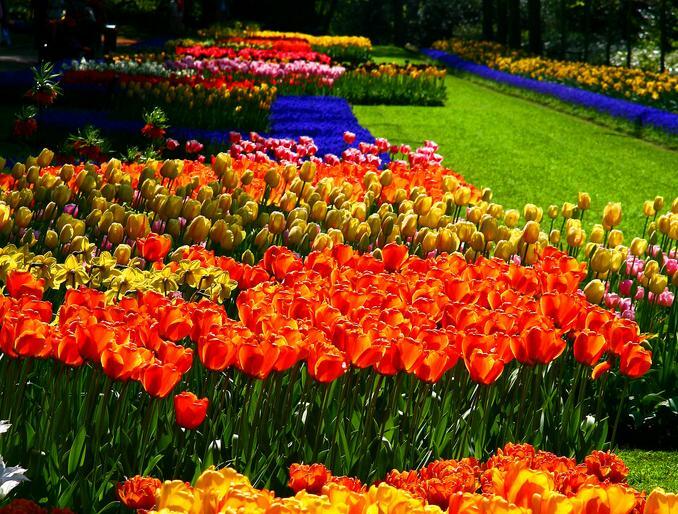 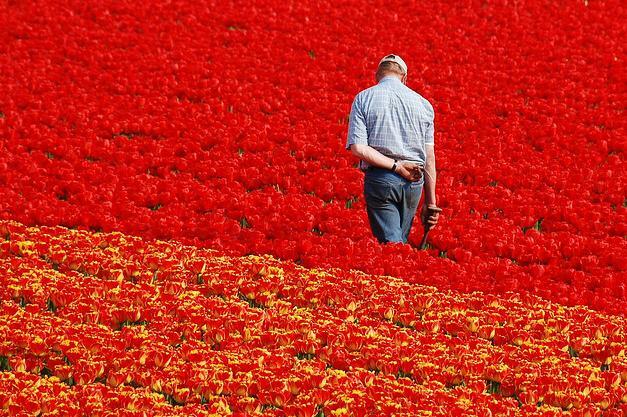 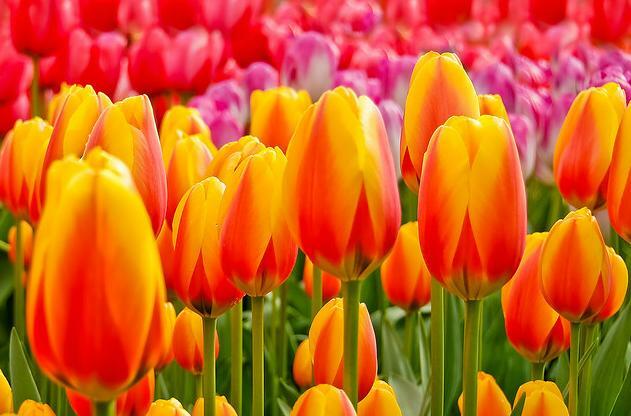 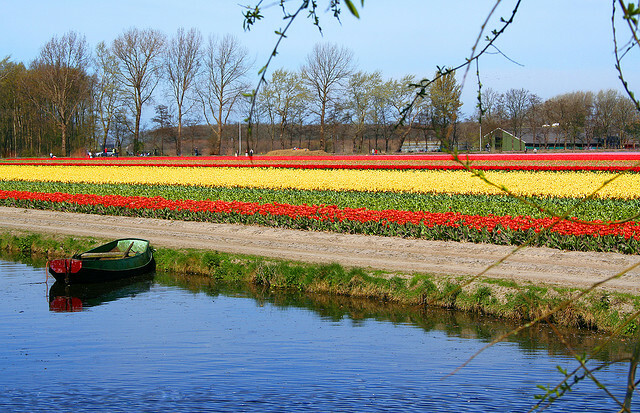 The idea for the flower garden appeared in 1949, The goal was to have a wider exposure of flowers, promoting the site, and in a way that would benefit the Netherlands, since they are the largest exporters of flowers in the world. 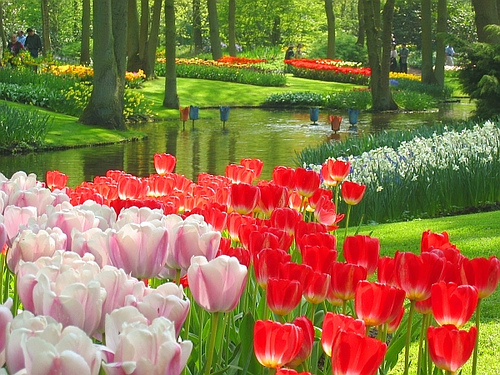 Best time of year is to visit is in mid-April, depending on the weather.